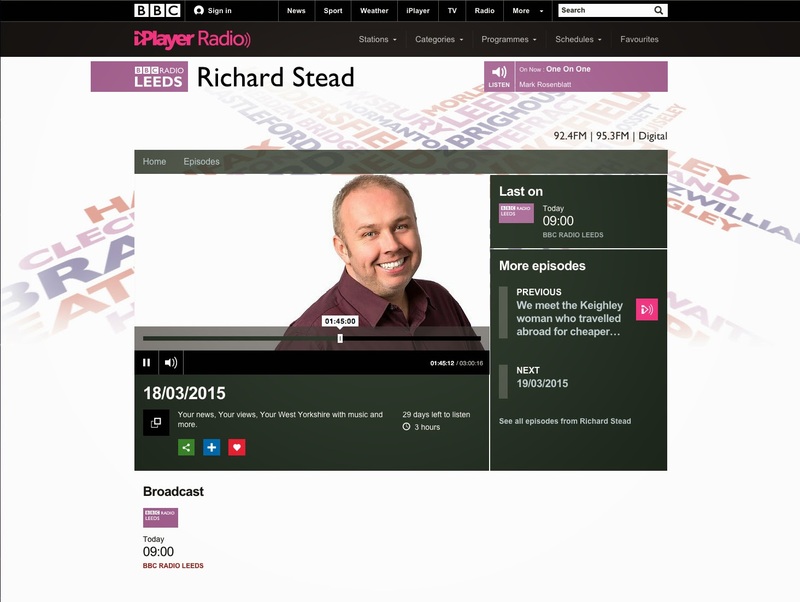 A creative appointment with the BEEB! 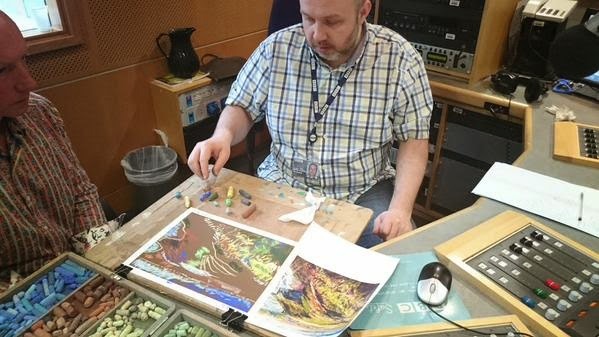 This morning something really special happened - I helped one of my favourite radio presenters Richard Stead (from BBC Radio Leeds) create a pastel painting during his live broadcast at BBC Radio Leeds, right in the heart of the city. Teaching Richard whilst broadcasting was really great. I have to say, I was totally amazed how Richard mastered so many things at the same time by co-ordinating everything so professionally to the split second, keeping his eye on the ball with his producer and all the while switching between screens and computer programmes and then...between all of that, create a lovely colourful painting (with just a few pointers from me), following one of my finished paintings of the East Coast of Yorkshire with an amazing result...as you can see! It was thrilling to share my art skills with Richard and his team and all the BBC Radio Leeds listeners too. 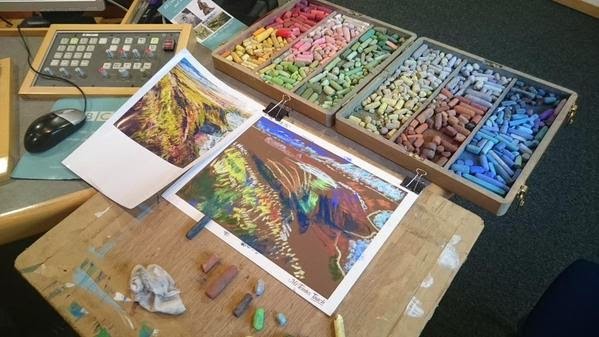 My original painting that Richard was following to try out his pastel techniques will form part of a major collection of my work in a joint exhibition called 'All Creations Great and Small' at the North York Moors Visitors Centre 'Inspired By...Gallery', 17th April 2015 – 4th May 2015, to be held at The Moors National Park Centre, Lodge Lane, Danby, Whitby YO21 2NB. 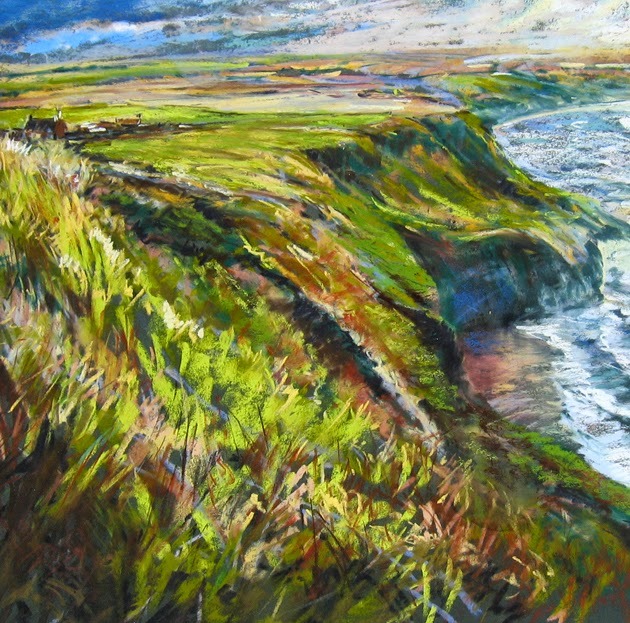 All our landscape, seascape and wildlife paintings with sculpture in the show are influenced by the wonderful North York Moors National Park itself. Our visually exciting and stunning exhibition with paintings by Helen Patterson, Jo Garlick, and Robert Dutton with sculpture by Stef Ottevanger, is free and indeed an exhibition with a difference suitable for all the family to see. 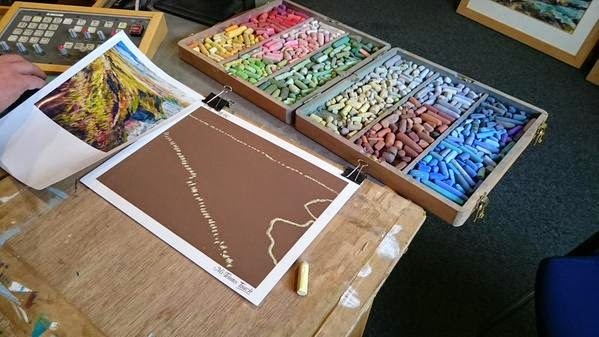 With an added extra as part of the show there is a special and exciting ‘meet the artists’ day on Saturday 18 April, with demonstrations by all participating artists showing different aspects of creativity for everyone to enjoy! 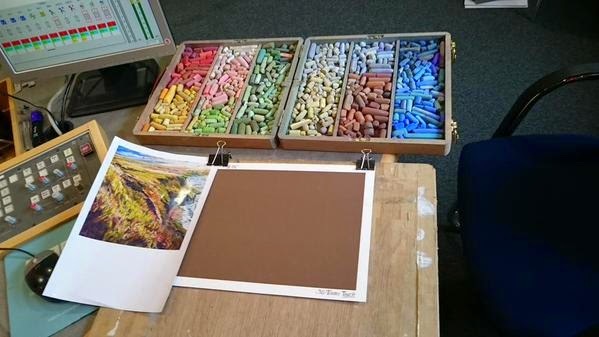 If anyone is looking to start or develop their painting and drawing further, the SAA is a great place to start. For lots more information and to discover more and learn how the SAA can be of real benefit to you, helping you along your creative journey, visit www.saa.co.uk today. 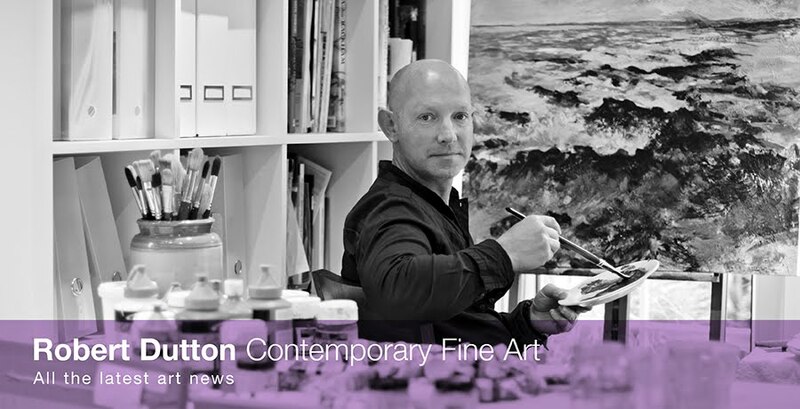 For workshops, art courses in the Leeds area and art breaks with a difference with Robert as your inspirational tutor, visit www.rdcreative.co.uk or email Robert at rdcreative@ntlworld.com for further information.